Are you ready to work out? We believe that getting dressed for a good workout can sometimes be half the battle. ROXY wants to help you achieve your fitness goals by keeping you looking your best in one of our great workout tanks or workout shirts for women. At ROXY, we’re constantly finding new ways to design clothing that keeps you motivated to seek new challenges and reach your highest potential. 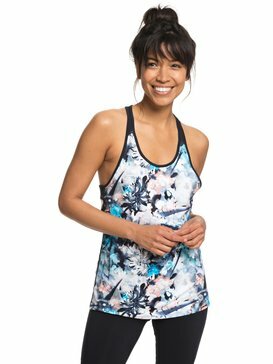 Our collection of workout tanks for women and workout shirts combines top level performance technology with fun and flattering silhouettes so you can feel confident that you look your best no matter what the challenges of your workout throw at you. Sometimes all it takes is a little self confidence to jumpstart the motivation to push yourself past the limits of what you thought was possible, and ROXY workout shirts are here to give you that extra boost. Do you need a great tank top for your next workout? 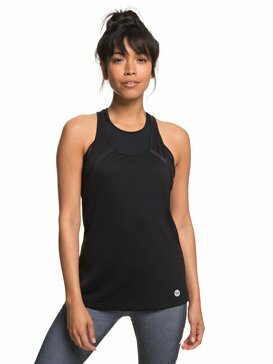 ROXY workout tanks for women are perfect for a range of fitness activities. Workout tanks are the ultimate way to look great and stay comfortable at the gym. Don’t believe us? Try one of our workout tank tops on for yourself and you will quickly see what all the fuss is about. Gym tank tops are comfortable, light, and sleek so you’re able to stay focused on the muscles you’re toning and you don’t have to worry about the weight of your wardrobe getting in the way. Workout tanks for women are a great choice for a variety of workouts including spin, cardio, and even resistance training. Workout tanks are also great for keeping you cool while you workout by giving you minimal coverage with maximum support and performance. Keep up the hard work! Don’t let your motivation subside, keep it strong by complementing your workout with one of ROXY’s workout shirts for women. We believe that being strong means being beautiful and we design quality workout tops to help you feel strong and confident while you’re at the gym. Working out can be a pain, but dressing yourself in your favorite sports shirt can sometimes be just what you need for an extra boost of motivation to get moving. Our gym shirts are designed with premium performance materials that will keep you comfortable and dry for as long as you stay active. ROXY aim to make the best workout shirts because we know how important your health is to you and we want to give you one more reason to be excited about getting up and getting dressed for the gym in the morning. 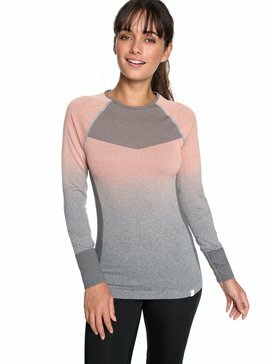 So keep your eye on the prize, and keep yourself dressed in ROXY workout shirts for women each step of the way. It’s time for you to head to ROXY’s online store and browse our full collection of workout tanks for women and workout shirts. You will love the selection of styles and colors we have to offer and you are sure to find a workout tank top or workout shirt that will perfectly complement your time in the gym. Our online store is easy to navigate so you can find the styles of workout shirts for women that you like and buy the ones that you’re most excited to make a part of your daily routine. 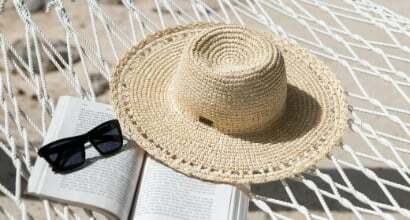 If you have questions while shopping, our free customer service help line is readily available to provide the information you need via live chat, phone, or email.